Be still! Don’t move your head! Ouch! This hurts! 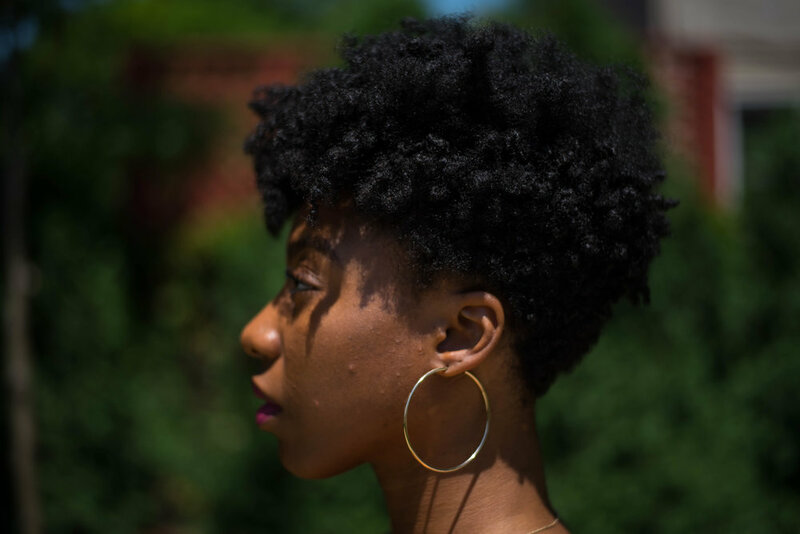 Many of us “nappy” girls have heard these phrases one too many times as a little girl. Dreading that hot pressing comb and hair grease the night before the school week. If it didn’t get “combed,” you would be all types of “nappy head” at school. As young girls, that has taken a toll and is still taking a toll on our fellow girls and women. I, too felt know the struggle all too well. Especially growing up without a relaxer. I desired to have one. Seriously desired. I would always admire the girls who had the “perfect wrap and set” every two weeks. Not having to worry about sweating your hair out during gym or recess. I didn’t love my nappy hair. It wasn’t until college that I finally got to be like the other girls. You couldn’t tell me nothing! Lol! But before I knew it, I realized that the grass wasn’t greener. I missed my nappy hair. I missed the texture. I missed the fullness. I decided that this time around, I would love my nappy hair the way God loved it to be. I’m not gonna lie, I was nervous! For people to see me in my most natural state caused me to worry. But I knew I had to do this for US! Instead of being nervous, I prayed to God to allow me to tap into His bank of confidence (my bank was soo empty lol). From that day on, I embraced my nappy hair. Loving the changes it took me through, the shrinkage, and most importantly, coming into my own and what I was supposed to look like. I understand that having nappy hair may be deemed “undesirable” under society’s standards but God created our hair exactly the way He wanted it to be. Who are we to tell God that something He created was undesirable?! I challenge all of my nappy head girlies to embrace the true texture of your hair. Embrace its versatility. Embrace the shrinkage. Embrace the height. Embrace your nappy crown. Be confident in what God has given us. Embrace your NAPPY crown!! !